There is no lack of coverage on the recent US elections and the fractures they have caused among the populous. Fractures we can argue stem from very different levels of education, training and economic opportunity and social inclusion. I recently read the 2015 PIACC1 (Program for the International Assessment of Adult Competencies) report that assessed cognitive skills in adults from 16 – 65 years and was surprised to note that US adults scored low on literacy, numeracy and problem solving compared to other OECD countries. Another disturbing survey result is that even taking native borne adults in the USA and immigrants together, they scored well below international averages (noting the immigrants’ low scores only marginally affect the overall score). The researchers note “the test results show that between half and two-third of all U.S. working-age adults were not proficient in literacy and numeracy. Even among those with a college degree, 22 percent of natives and 54 percent of immigrants scored below proficient in literacy2”. This analysis points to the opportunity gap that exists in the workforce today between the needs of companies and organizations and the relevant skills/knowledge of people. This gap leads to poor performance, unemployment, a polarization of opportunities and a need for workforce development, especially in essential skills. Essential Skills are described as the “foundation skills you need to be successful at work. They include reading, document use, writing, numeracy, oral communication, computer use and thinking skills3”. Another definition takes a broader view and notes that “essential Skills are the skills that people need for learning, work and life. They are used in the community and the workplace, in different forms and at different levels of complexity4”. The value of people having essential skills enables easier learning of technical and work safety skills and contributing to both community and work advancement. Having essential skills allows people to be more employable and earn more money. They are more productive and can make better decisions and fewer mistakes, have less injuries and learn more quickly about changes in the workplace, society and using technology. This ability to adapt to change is also important so as the workplace and society changes, people are confident of their abilities to also change. Cell-Ed has identified this gap and is working with various partners (state governments, non-profit organizations, corporations and others) to address this. An important component of addressing the essential skills and knowledge gap in the US is to remove barriers to learning. For example, how do you enable learning to take place when people have busy schedules, long commutes, perhaps having two jobs, children to take care of and other such constraints. How do you provide personalized courses that meets learner/industry needs and is easily accessible? Cell-Ed’s learner centered, mobile first approach using 3 min micro-modules is one model we are using to address these issues and now scaling delivery. And the relevance of the study to the past US elections? 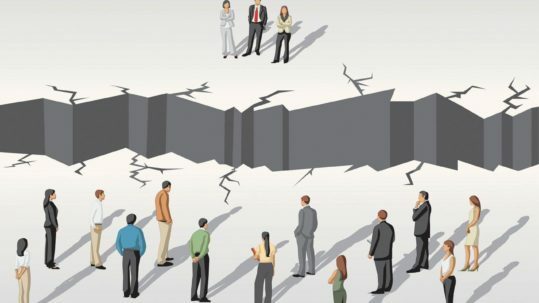 Some commentators and analyst have argued that many folks in the US have felt excluded, not part of the economic growth being experienced, not seeing any improvement in their earning capacity, their social standing seems to be treading water and a sense of hopelessness. While many sectors of the US economy are growing, unemployment coming down, good recovery from the 2008 economic calamity and a sense of optimism, still people still feel excluded and out of the mainstream of the economy and society. How do we ensure that more citizens have access to the tools that could enable them to have decent jobs and feel a sense of self-worth? Cell-Ed believes that improving essential skills of US citizens is likely to result in better jobs, improvements in economic well-being and becoming a part of the global village as we make progress towards a better world.